Got ya. Well did you copp anything? Damn. 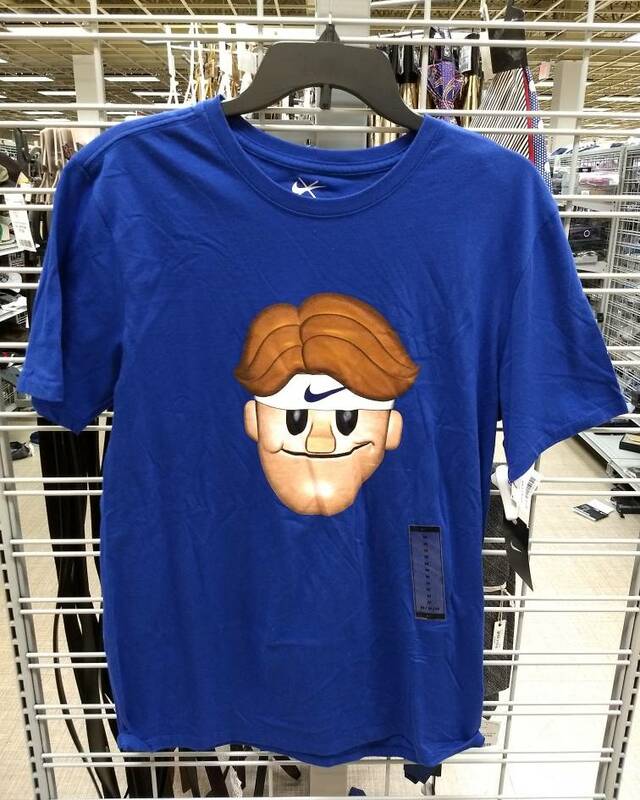 That Marshall's got a nice shipment of tennis goods. 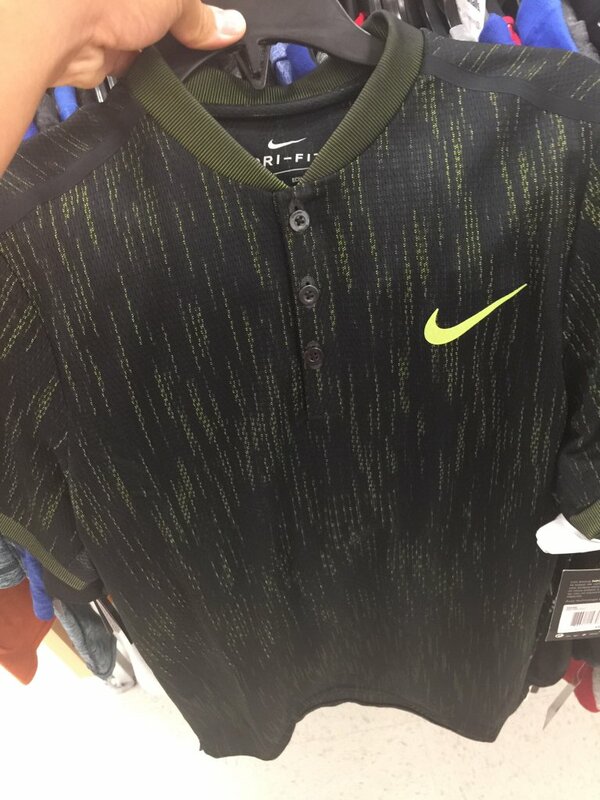 I want that green henley, lol. Where you located @young prodigy ? Palm Beach Nike Factory store has the "Miami" Flyknit Vapor 9.5s for $110. Tons of sizes available. Found a Nike Court 2.0 duffle bag at Ross for $30. Navy and cobalt blue. Picked up a Nike Court Tech 2.0 backpack for $30 as well as a pair of Asics Gel Solution Speed 3 for $30. 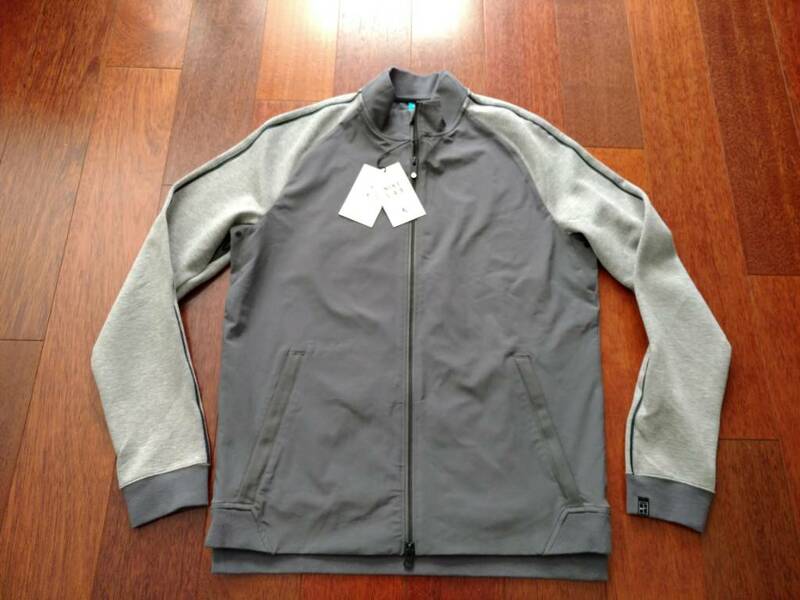 Nike clearance store and Burlington Coat Factory respectively. Wow, only one pair? I might have backed up the truck for those at that price! Only had one pair in my size. I got a Prince duffel for five dollars and a Rafa calendar for a buck from TW. Local adidas outlet in UK. Ubersonic 2 in red/pink and white. £32.49. Serious bargain. 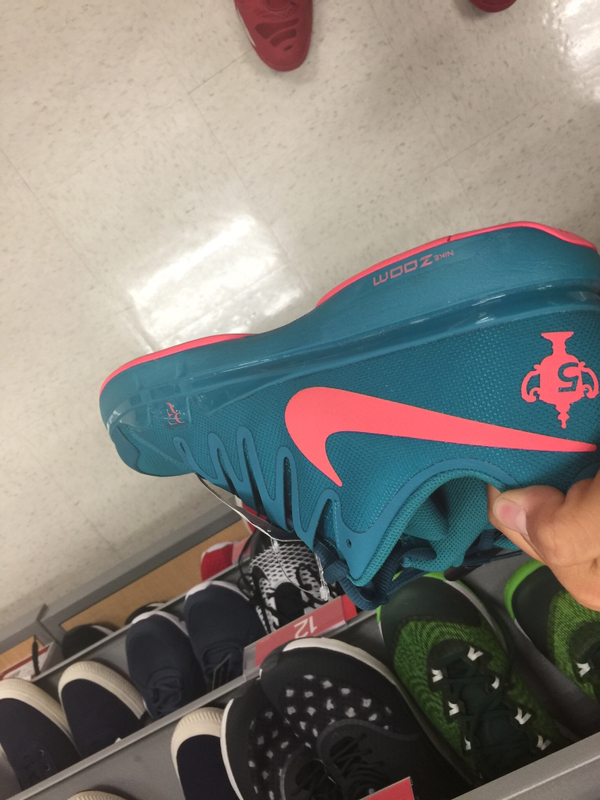 Found a pair of Photo Blue Nike Cage 2s in size 12 at the Nordstrom Rack in King of Prussia. Also saw 2015 Barricade Boost in Wimby colorway, but size 9.5. 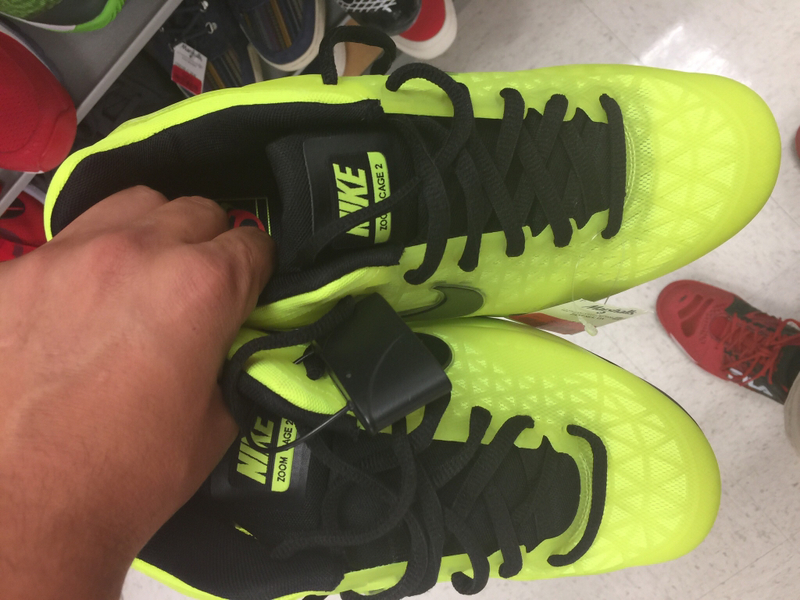 Orlando International outlet has Miami Flyknit Vapors for $70. All found at Kissimmee Nike Clearance Store and Orlando International Nike Outlet. 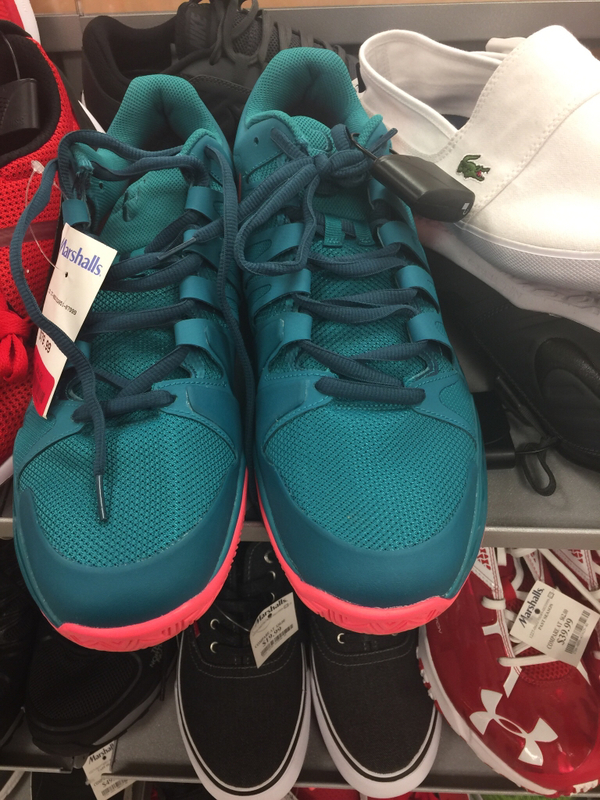 Saw the Green/Black ones at Ross also for $69. 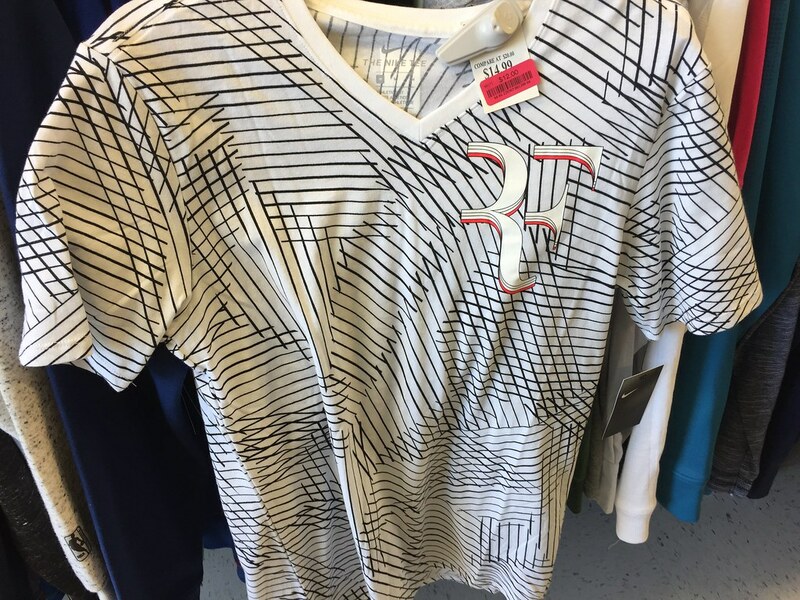 Got a great deal on Fed's 2011 RG polo, nwt. Will post a photo when it gets here. Seems in great shape from the pics, but we'll see when it gets here. 23 x 10 x 11. Black canvas with brown trim and brown leather straps. Good quality. Nice find! Any other sizes or did you just saw that only one? This is one of my all time favorite bags...would LOVE to pick one up for anywhere CLOSE to that price! Congrats on a sweet score! I saw a couple other Ls and a few XLs. 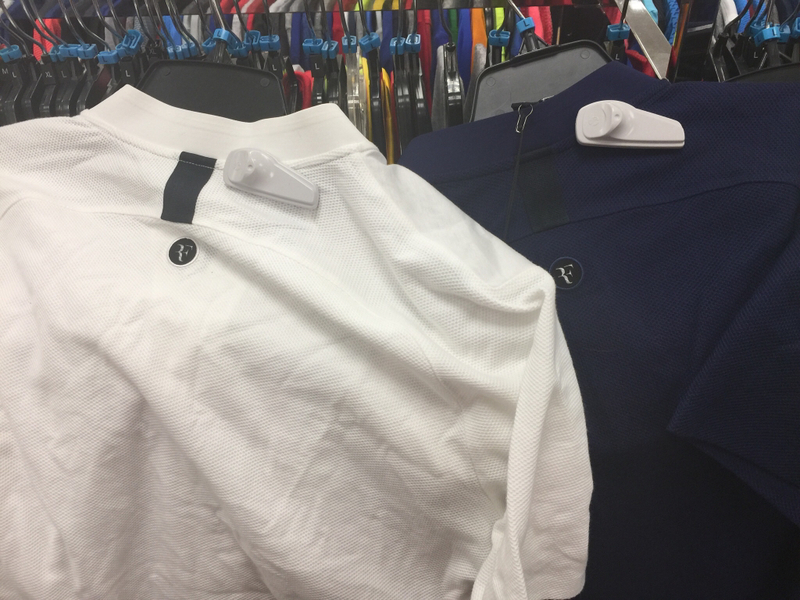 I don't like when they put t-shirts on hangers--stretches the neck all out. 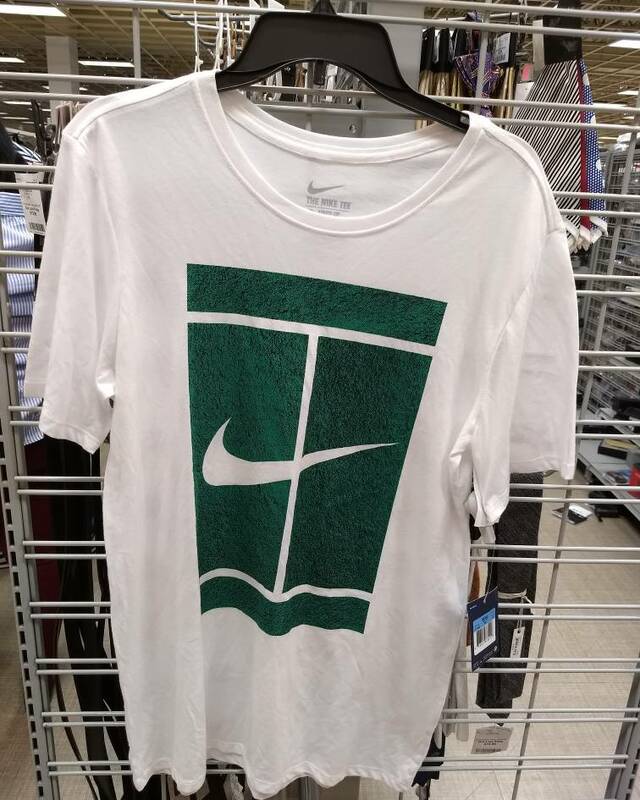 It's not a tennis shop where they can fold it. Daughter made me stop by TJMaxx on the way to dance this morning and glad she did. 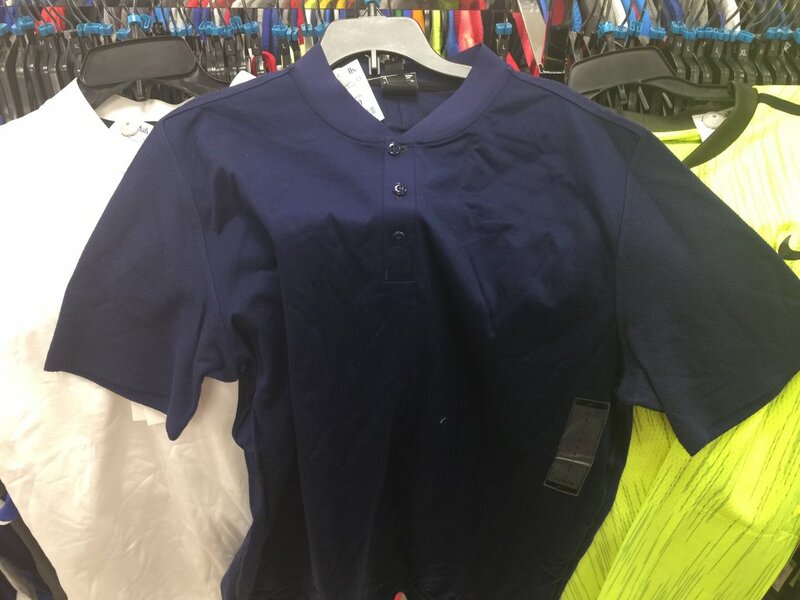 In the clearance section I found this, in my size (m). 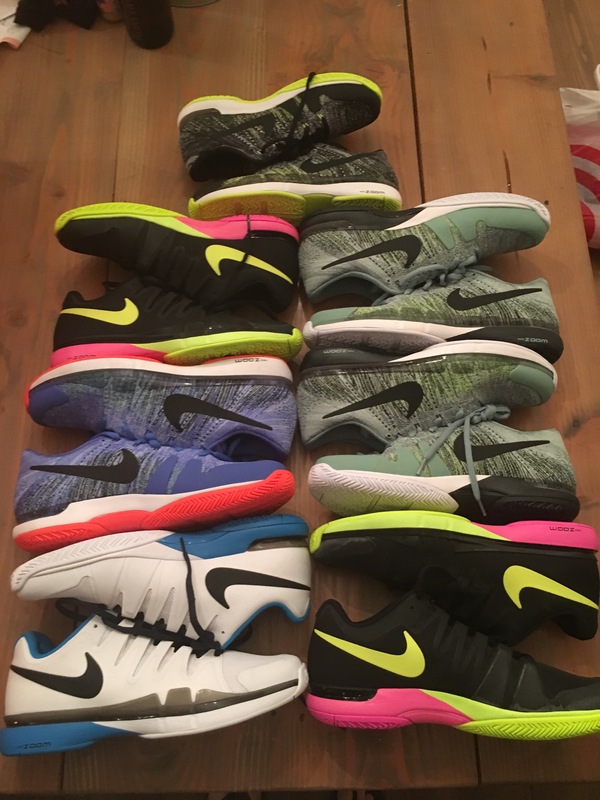 None others in any size so I feel quite lucky (big fed fan lol). Anyway you may check your TJ for it...this was in Davis CA. 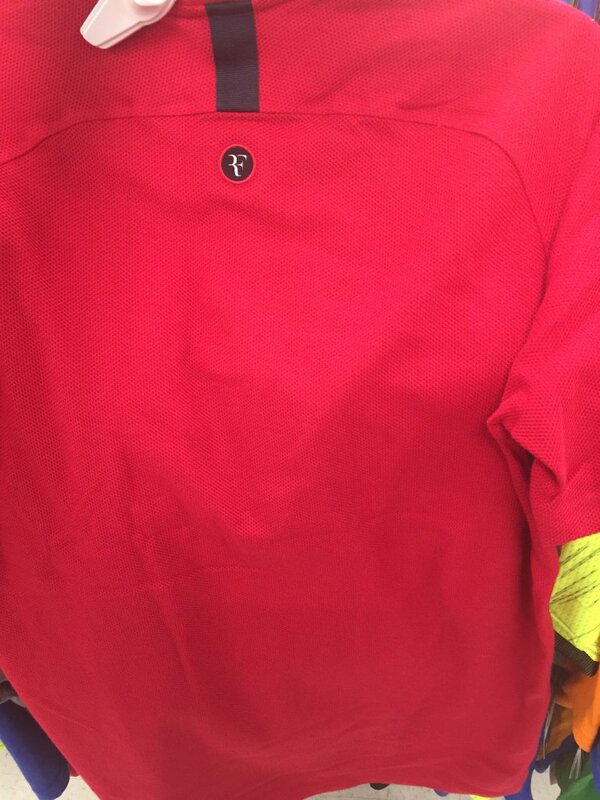 I found the green one that he wore in Indian Wells but in a large. They wanted $8.00 on clearance but didn’t get it.